I have been resisting using a Silpat baking mat since it was introduced to the U.S. from France a few years back. I don't like using any of those pretty colored silicone muffin tins or loaf pans. Is it just me? or are there others who don't like to use non metal for baking? I don't eat processed foods or use artificial sweeteners, so why would I use a plastic pink rubbery looking collapsible muffin tin? Why not just use my good old Nordicware professional baking sheets and pans? (which I love and adore). It's a new age, it's a new dawn. You have to go with the flow. It's the 90's. I still haven't given up my old cell phone for a Blackberry or iphone, and probably won't. I am already getting radiated with all the cell phone talking next to my ear. Before buying the Silpat, I did a lot of research on health issues and the pros and cons of baking with silicone at temperatures above 350F degrees. I found many people who loved it and many people who did not. I wanted to see for myself. The Silpat is made of fiberglass and silicone. It keeps baked goods from sticking, and is a good substitute for parchment paper, therefore, less waste. So does that make it a "green" product? The only warnings on their website was that you can't cut it, or it disturbs the fiberglass fibers, sort of like when you are having new insulation pumped into your home, you don't want to get the fiberglass fibers anywhere. Not a good thing. And you can't use it with temperatures above 475 degrees F.
So I won't be making any pizzas on it. Last night I made my first batch of Silpat cookies. 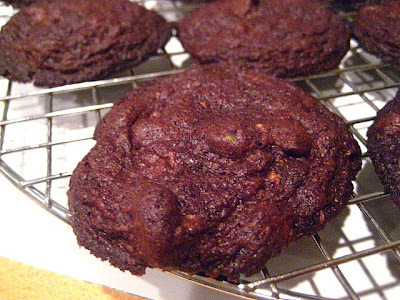 I made a chocolate ginger cookie that I would normally use parchment paper to line the baking sheets with. The Silpat results were very good. The cookies spread out evenly and they crisped up nicely. They slid right off the baking sheet without any burned bottoms and without any sticking. It took a while before the silpat cooled down for my next batch, but that was the only negative. There was no smell of silicone or burning rubber (some bloggers say that they smell burned rubber when using silicone bakeware), and no real down side to using this professional baking product. However, being the au natural gal that I am, I will stick with my straight good old heavy Nordicware metal pans, sans the Silpat liner. I don't want to find out years later that the third ear that is growing out of the back of my head was caused from too many cookies eaten from silicone bakeware. (That's why they call it a muffin TIN!!). I have a muffin one and it's nice to use sometimes but if I am making cupcakes or muffins in liners than I use my old tins. With the newer foil baking cups, you don't even need a muffin tin...sometimes I just put them right on the baking sheet. I agree - in fact someone gave me that exact pink thing you are talking about and I hate it - I used it once and that is it...give me metal! I use silpats for cookies, and they work great. I like the no waste factor. But, I'm just not interested in silicone muffin pans, etc. I heard things don't brown as well, and that was reason enough for me to not try them. I have a variety of bakeware -- including both traditional metal and the new-fangled silicon -- and I try to use the right tool for the job when baking. I love my Silpats for baking cookies, gougers, and especially sugared nuts when I absolutely want to avoid sticking. I've done a few unscientific tests and can't tell a difference in taste. I haven't ever smelled burnt rubber. I do have high-quality Silpats that were not inexpensive, and I wonder if the lower-cost ones might have issues the real ones don't. I don't own any silicone muffin cups, but I do have two sets of shaped silicone molds: madelines and snowflakes. I own a traditional madeline pan as well, and of the two I love the silicon one because it's so easy to pop the cakes right out of the pan without any sticking. The flexibility of the mold contributes to this as much I think as the material from which it's made. This doesn't mean I'm trashing all of my good Nordicware. I have a whole collection of shapes and sizes, each with its own different problem areas where sticking will occur if I don't butter and flour just right. But hey, learning to work with your unique tools is part of the fun of cooking. I'm with you, Stace. I was giving the silicone muffin cups as a gift, and did not like them- they stuck! I like being able to scrub and sanitize without having to worry about temperature. I also think a kitchen looks "prettier" with all of the metal sheets and wooden bowls, stoneware, etc... I have an "imitation" silpat, but I always forget about it. A spray on the pan just seem so much quicker. Um, I was more focused on the cookies. Gawd, those look good! As for Silpats... I own four of them and have used them for several years. Last count, I only have two ears. 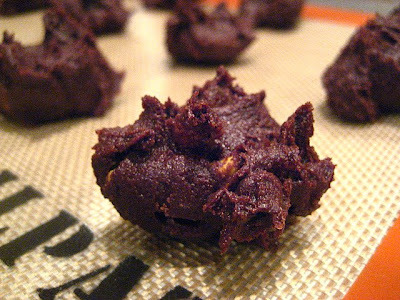 They are a blessing for cookie baking and granola (which can get sticky). I like parchment paper, too. As for silicone baking cups...I regret buying them. They are a PITA to clean, so I stick with paper cups. I use only metal almost all the time. I have a silpat and use it for very specific things (can't think of any at the moment). I find cookies never stick to my baking sheets (even without parchment) because of all the butter. I have one silicone madelaine pan and I hate it. I have a few nonstick pans, but always have a concern when I'm using them. I have been thinking about a silpat mat, but then again, the parchment paper works great, so why spend the money. I agree with Marie on the pastry brush though. They are terrific. I really like my Silpat, and I use it for cookies, éclairs, etc. In order for it cool down quickly, you just need to take it off of the hot jelly roll pan and set it in a cool place. I like the fact that I don't have to use parchment paper anymore. That stuff is expensive, so I'll get my money's worth over time with the Silpat. Holy cow... I never thought about cuts in the Silpat mats! I'm going to check mine out carefully. I do have a couple of Silpats but I prefer to use parchment. Silpats are great for peanut brittle, candies, etc. very interesting, stace. since we don't bake much, never thought about the negatives of the silpat mat. but i will tell you, you have convinced me not to buy one. i'd prob. end up using it for a cutting board one day and will die of some sort of fiberglass poisoning or something. Hum, je ne connaissais pas cette recette mais tout ce chocolat me donne envie ! Ca a l'air délicieux, délicieux ! Je suis trop gourmande ! We seem to share the same opinion about being natural or being green. I'll be lying if I say I don't own any. I do, I used to have 2 silpat, now only one left. Use this mostly to bake macarons. And you'll be happy to know that I don't own any of those rubber, or silicon moulds. Only have 3 non-stick items in my kitchen, which I very rare using them (Madelines molds, bunt cake pan, and one pan that my brother in law's father suggested to have if I want to make an Iranian rice) I try to be as green as possible. I don't use any fertilizer, poisons, or any harmful chemical in my garden (that is why the gopher very happy to eat anything I plant in my veggy garden). I try to buy everything organic whenever possible, most importantly I grow my own fruit and vegetables as much as I can. I do hope that one day, I can raise my chicken, peacock, cows and goats. So I can have fresh eggs, and make my own cheese too. Like you, I never provide anything artificial and process food to my family. Being natural/green is the greatest gift we can offer to our Earth! I don't have a silpat or any of the silicon baking "pans". I like my traditional bakeware, just can't wrap my head around using those flexible "tins". I agree with you. Someone gave a set of wilicone bakeware and I never used it. Actually, I returned it and got myself so new tin pans. I'm perfectlly happy with them. Freaked out by the silicone bakeware- tried it once and it didn't work very well, anyway. I use silpat though. It doesn't seem so scary, and it helps with the cleanup. I agree - I feel like in a few years they are going to come out with some suspicious reports about using it. I mean you aren't supposed to microwave plastic or leave it in the car, so I can't fathom baking silicone. At the same time, that little liner is very convenient. Although I have a heck of a time getting it clean since it feels sticky regardless. I'm not a fan of silicone bakeware at all. I'm clumsy enough as it is, I don't need a floppy rubber pile of batter spill down the front of me. I've heard good things about these mats, but I still can't seem to bring myself to buying them. Glad I came across this Stacey, very interesting to read. I have a couple of the mats and use them for certain things like caramel, meringues and chocolate decorations. I also have quite a few moulds of various shapes and am trying them out in different ways, but they are not my favourite for baking . I've had nothing but success with my silpat. I love using it and it helps my attempts at cooking become a success! I think many people in the comments here are mistakenly attributing their experiences with generic silicone bakeware to the Silpat. 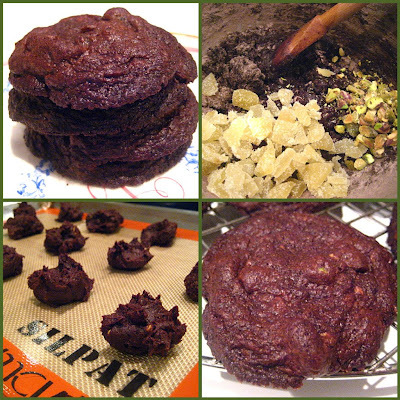 In my own experience, I have used silicone muffin tins, parchment paper, and now a Silpat. Nothing works better than the Silpat. The silicone bakeware did indeed have an awful smell as some mentioned and stuff would occasionally stick to it. Things also didn't bake very well in them. It messes with your cooking times, but that could have been "chef" error. Parchment is fantastic and I used to use it all the time. However, you must keep buying parchment. Sure it's relatively cheap, but it is an added expense. With the Silpat you buy it once, have it for years and you're done. It's also MUCH more nonstick than parchment. So much so that your cookies will spread out a lot more on the Silpat, so you need to be careful the first few times. You also have to make sure you don't fold and break the fibreglass inside or cut the Silpat releasing fibreglass into your food. You would have to really be trying to make these mistakes though. I absolutely love the Silpat though and use it for everything now. TL;DR: Silpat is way better than silicone bakeware and it's much more nonstick (and less wasteful) than parchment.